We can all appreciate entertaining guests in our home who are polite and well-mannered. It’s up to us as parents to train our children how to behave appropriately when they’re visiting others’ homes. Whether we’re going to another family’s house for dinner or sending our children over to play with friends, we hope that they will be on their best behavior. Here are six guidelines we can teach them beforehand to ensure that they will be invited back! Upon entering some one’s home, always wipe your feet. If it’s their custom, remove your shoes and leave them near the front door, but out of the way. When in others’ homes, treat their possessions carefully. This would include sitting correctly on the furniture, being cautious around fragile items, and playing properly with toys and games. If you’re unsure if you’re allowed to play with something, always ask permission first. As you are aware of the rules of your host family, do your best to follow them. Be courteous when asking for something and remember to say please and thank you. Stay in the areas of the home to which you are invited. Don’t wander through another person’s home unless you have been given permission to look around. Be sure to clean up any mess you make. If you’ve eaten a meal, clear your place at the table once you have been excused. Pick up and put away any toys you have played with before you leave. Before departing, thank the host and/or hostess for inviting you to their home. 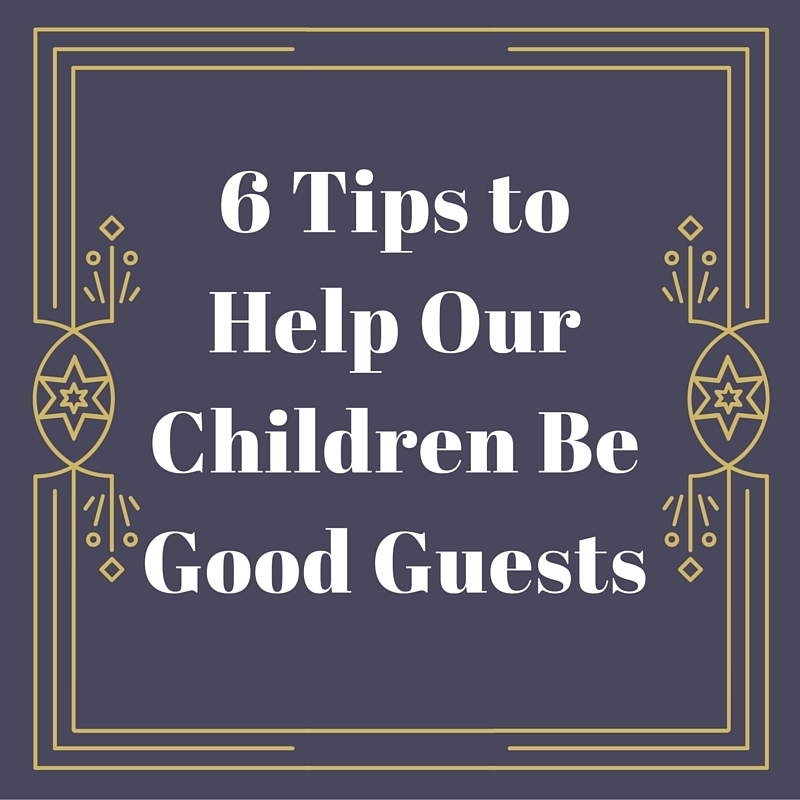 Hopefully these ideas can help us and our children be a blessing to those we visit. 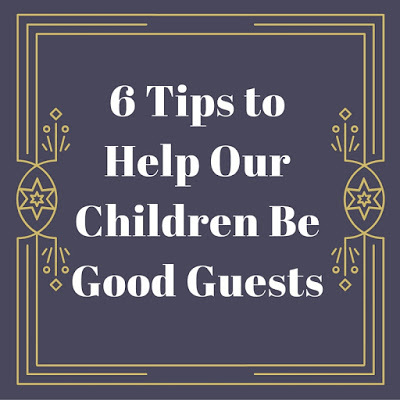 If you have other tips for being good guests, please share in the comments section. I love this. I think manners are lost in today’s society. I think everyone should read this and pass it along, to remember how everyone, including children, should behave. Thank you so much for coming by my blog party!